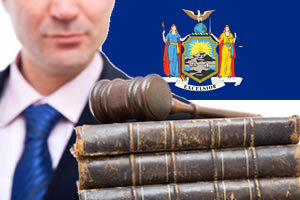 New York, like other states, has state specific personal injury laws. New York laws can change at anytime and it is always wise to consult a personal injury lawyer in New York. Getting expert help in filing your New York claim is your first step in receiving the injury compensation you deserve. If you don't file in the time specified you can miss out from collecting damages for any injuries sustained. In New York you have 3 years to file your personal injury and product liability claims. You have 2 and 1/2 years to file your New York medical malpractice claims. The "no fault" rules apply to New York car accident cases. The no fault rule means that you can only sue for serious injuries. And if you have missed work or have been in the hospital, these claims are handled by your own personal injury protection insurance. Pure Comparative Negligence means; fault is determined between parties by percentages. You can sue the other party for 30% damages if it has been determined they are 30% at fault. Even if the other party was only 5% at fault you can attempt to sue them for this small 5%. Are there Damage Caps in New York Injury Law? There are zero damage caps put in place by the State of New York. The awards given are usually based on what is determined through insurance. Details on insurance and damage caps can be further explained by a New York personal injury attorney.